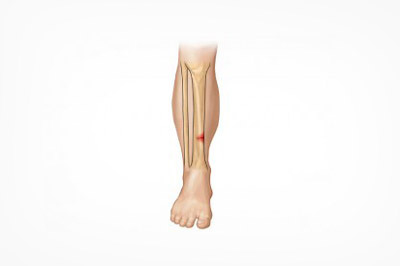 MTTP presents as a diffuse pain along the inside of the shin bone (tibia) which can decrease with warming up, although worsen the following morning. Repetitive loading combined with abnormal biomechanics can place extra stress on the tibia where the leg muscles attach leading to inflammation. This is a common injury in runners and females who are three times more likely to develop it. MTTP tends to be the most common type of shin pain we see as Physiotherapists. 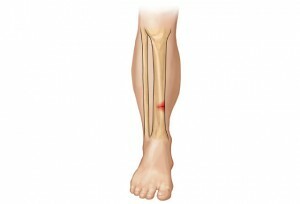 If left too long MTTP can lead to the development of a stress fracture in one of the lower leg bones (tibia or fibula). A stress fracture is a small hairline break in the bone generally due to repetitive loading and impact. This presents as an isolated pain on the front of the shin that worsens with exercise and weight-bearing and may be painful at rest or at night.These often require 4-8 weeks rest off activity and occasionally unloading of the shin through the use of a moonboot or crutches. If you have shin pain it is important to see a Physiotherapist to diagnose exactly what injury you have and to address the causative factors. Rest from impact activities and ice may initially help, however there are generally biomechanical errors that need to be modified to prevent the problem reoccurring or worsening. A Video Gait Analysis may help identify the causes of your shin pain. 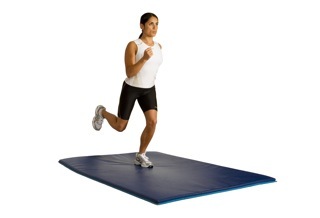 You can read more about Gait analysis here.